Can the Internet bring traffic to your car dealership? Certainly – but what you really want to know is how much, how fast, and how targeted that traffic will be. As Todd Cahan, Managing Partner of Max Madsen Mitsubishi, discovered, not all Internet advertising is created equal. Plus, what worked a few years ago might not cut it anymore. Today, Todd regularly targets results to particular models and even particular cars. 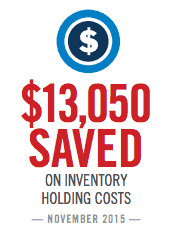 He has seen a 100% increase in sales velocity in a single month, steady sales over time, and more than $13,000 saved on inventory holding costs per month. Read the full story here.